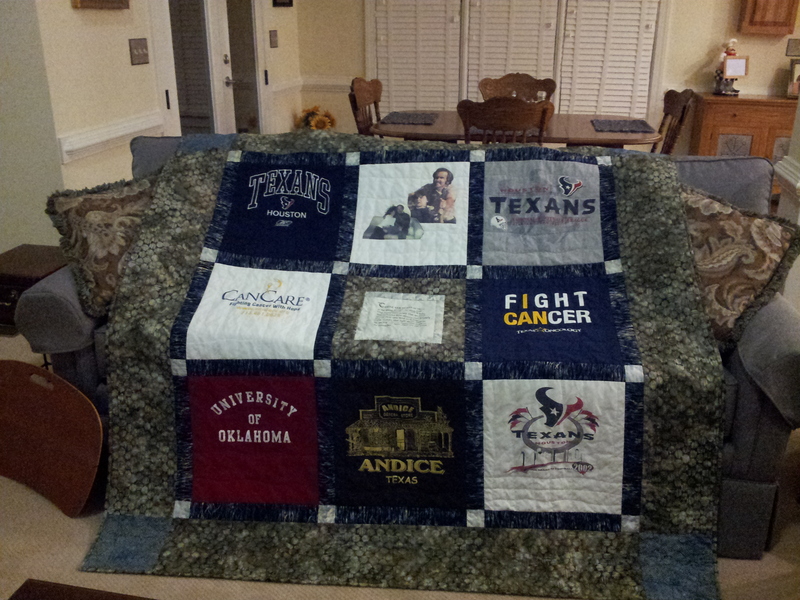 This t-shirt quilt was made for a customer whose father passed away in April. Although Dad had several t-shirts, she selected the ones that meant the most to her. My favorite t-shirt is the one she made her Dad featuring photos of the two of them. (It’s top row, middle block). The center block includes an English translation of a special verse from his funeral program. I used a stylized Old English font and printed it on Electric Quilt’s printable fabric. 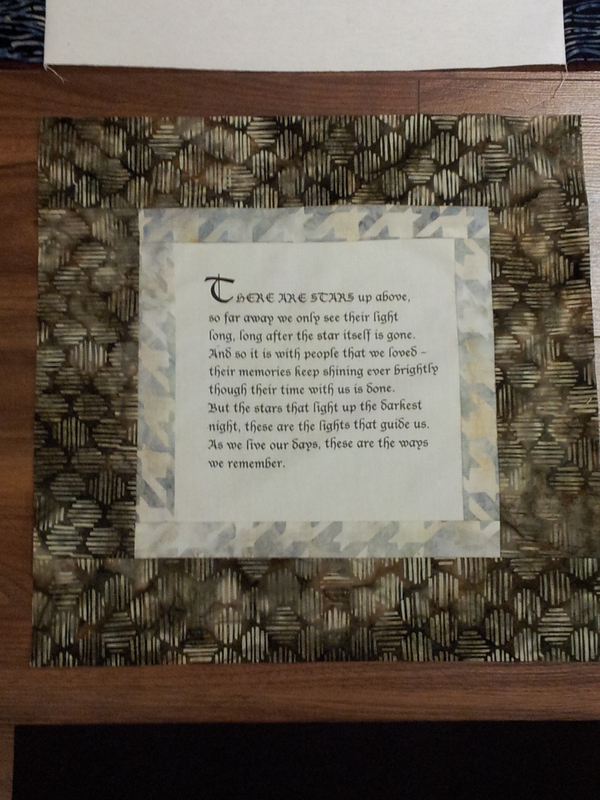 The verse was then framed with cornerstone and outer border fabric. Blocks on this quilt are 15″ and quilted in a wave pattern to mimic the sashing fabric. Most of my quilts call for a solid-color sashing. This customer wanted to select her own fabrics. She prefers brown tones and loves batik fabrics, so we met at a local quilt shop to find the just right fabrics. I think her selections work quite nicely. That’s the beauty of a custom quilt – you can make it your own. Previous postLook what we did in school today!